An online shop evokes the physical analogy of buying products or services at a bricks-and-mortar retailer or shopping center; the process is called business-to-consumer (B2C) online shopping. In the case where a business buys from another business, the process is called business-to-business (B2B) online shopping. The largest of these online retailing corporations are Alibaba, Amazon.com,and eBay. Retail success is no longer all about physical stores. This is evident because of the increase in retailers now offering online store interfaces for consumers. With the growth of online shopping, comes a wealth of new market footprint coverage opportunities for stores that can appropriately cater to offshore market demands and service requirements. Digital currency - distinct from physical (such as banknotes and coins). It exhibits properties similar to physical currencies, but allows for instantaneous transactions and borderless transfer-of-ownership. E-commerce payment system - Wikipedia. Google Pay is the new Android Pay - engadget. How to send money abroad for free - The Telegraph. How to Use Snapcash - wikiHow. International money transfers: what is the safest way to send money abroad? - The Telegraph. Jack Ma's online payments firm is now worth more than Goldman Sachs - CNN tech. List of online payment service providers - Wikipedia. MAYBE GO AHEAD & MAKE YOUR VENMO PRIVATE - Wired. Payment service provider - Wikipedia. Venmo - mobile payment service owned by PayPal. It allows users to transfer money to one another (within the U.S. only) using a mobile phone app. It handled $12 billion in transactions in the first quarter of 2018. You Should Stop Using Texts for Two-Factor Authentication - Wired. Amazon coin - "Use Amazon Coins to get Kindle Fire apps & games for less." AMAZON PAY - "Build loyalty and benefit from years of Amazon innovation by accepting Amazon Pay." Amazon Pay makes it simple for hundreds of millions of customers around the globe to check-in and check out using information already stored in their Amazon account. The customer experience is familiar and trusted. Apple Pay - since 2014. "Cashless made effortless." Apple Pay is easy and works with the Apple devices you use every day. You can make secure purchases in stores, in apps, and on the web. And now you can send and receive money from friends and family right in Messages. Apple Pay is even simpler than using your physical card, and safer too. BITCOIN - founded in 2009. "The Internet of Money." ("A cryptocurrency for the masses.") Bitcoin is different than any currency you’ve used before, so it's very important to understand some key points. Unlike government issued money that can be inflated at will, the supply of Bitcoin is mathematically limited to twenty one million bitcoins and that can never be changed. Bitcoin is a peer-to-peer currency. Peer-to-peer means that no central authority issues new money or tracks transactions. These tasks are managed collectively by the network. Besides being created as a reward for mining, bitcoin can be exchanged for other currencies, products, and services. As of February 2015, over 100,000 merchants and vendors accepted bitcoin as payment. Bitcoin can also be held as an investment. According to research produced by Cambridge University in 2017, there are 2.9 to 5.8 million unique users using a cryptocurrency wallet, most of them using bitcoin. BitPay - since 2011. "Accept bitcoin, store and spend bitcoin securely, or turn bitcoin into dollars with the BitPay Card." Provides payment processing services for merchants, and is one of the largest bitcoin payment processor. Dogecoin - since 2013. Dogecoin is an open source peer-to-peer digital currency, favored by Shiba Inus worldwide. Ethereum - since 2015. "Blockchain App Platform." Cryptocurrency platform and Turing-complete programming framework intended to allow a network of peers to administer their own stateful user-created smart contracts in the absence of central authority. FLATTR - since 2010. "Fund the free press. Fund creativity." Support the content you love by funding the people who make it. Fortumo - since 2007. "Direct Carrier Billing in 100 Countries." One-click mobile payments in 100 countries. Fortumo is connected to more than 350 mobile operator networks in 100 countries. Our platform processes millions of payments each day, which means we have extensive data about user profiles and payment preferences around the world. Google Wallet - since 2011. "An easy way to pay friends and family." Send money from anywhere. Google Wallet is a fast, free way to send money through the app, in Gmail, or on the web at wallet.google.com. You can send money to someone using just their email address or phone number - they don't need to have the Wallet app. IZETTLE - since 2010. "Now anyone can take secure card payments. You and your friends. Your business. All you need is an iPhone or iPad and iZettle." Litecoin - since 2011. "Global decentralized based on blockchain technology." Litecoin is securely stored in a wallet on your computer, tablet, phone or laptop. Download yours and start sending and receiving payments with an address and a click. Neteller - "With payments in over 200 countries, multiple currencies and numerous local deposit and withdrawal options, NETELLER has been trusted by consumers and merchants, since 1999 for secure online payments." PAY PAL - founded in 1998. Subsidiary of eBay Inc. American company operating a worldwide online payments system that supports online money transfers and serves as an electronic alternative to traditional paper methods like checks and money orders. PayPal is one of the world's largest Internet payment companies. The company operates as a payment processor for online vendors, auction sites and other commercial users, for which it charges a fee. In the second quarter of 2017, more than 210 million accounts were active worldwide. PayWizard - since 1997. UK-based provider of online payment and subscription management technologies and services. Pingit - since 2012. "Quick, easy payments using just your mobile number." Pingit links your mobile number with your bank account, and makes it quick and easy to send someone money. You don’t need to know account numbers or sort codes – just ping it from one mobile to another. Ripple - since 2012. "One Frictionless Experience To Send Money Globally." The world’s only enterprise blockchain solution for global payments. Skrill - founded in 2001. "Send money to anyone, anywhere, with just an email address." E-commerce business that allows payments and money transfers to be made through the Internet, with a focus on low-cost international money transfers. Snapcash - Snapchat has unveiled a new feature that will allow users to send money to other clients of the messaging app. Stripe - since 2011. 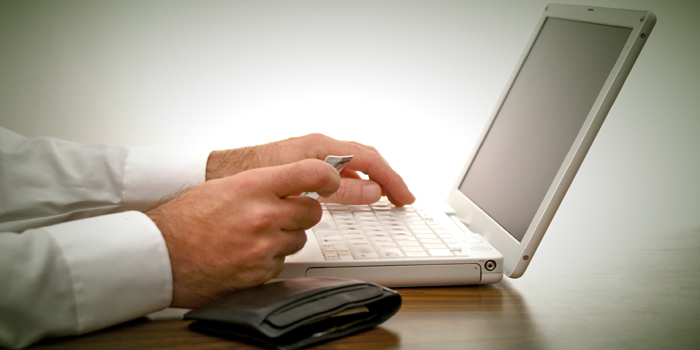 "The new standard in online payments." Stripe is the best software platform for running an internet business. We handle billions of dollars every year for forward-thinking businesses around the world. Operating in over 25 countries allowing both private individuals and businesses to accept payments over the Internet. Stripe focuses on providing the technical, fraud prevention, and banking infrastructure required to operate on-line payment systems. Tether - "The new way to move money." Tether gives you the joint benefits of open blockchain technology and traditional currency by converting your cash into a stable digital currency equivalent. By leveraging Blockchain technology, Tether allows you to store, send and receive digital tokens pegged to dollars, euros, and yen person-to-person, globally, instantly, and securely for a fraction of the cost of any alternative. Venmo - since 2009. "Send money and make purchases at approved merchants." WEPAY - since 2008. Online payment service provider based in the United States that provides an integrated and customizable payment solution through its APIs to platform businesses such as crowdfunding sites, marketplaces and small business software companies. It offers partners fraud and risk protection. WebMoney - founded in 1998. "Universal payment system." Global settlement system and environment for online business activities. Since then, over 26 million people from all over the world have joined the system. No bank account or credit card is required to open or operate a WebMoney account. Xoom - since 2001. "Request money, mobile reloads, and bill payments from friends and family in the U.S." Offers money transfer services, primarily from one person to another, in many countries worldwide. Money is sent securely through a desktop and mobile site as well as a mobile app. Money sent by Xoom may be received in cash at banks and various other businesses depending on the recipient's location, as well as by deposit to bank accounts.